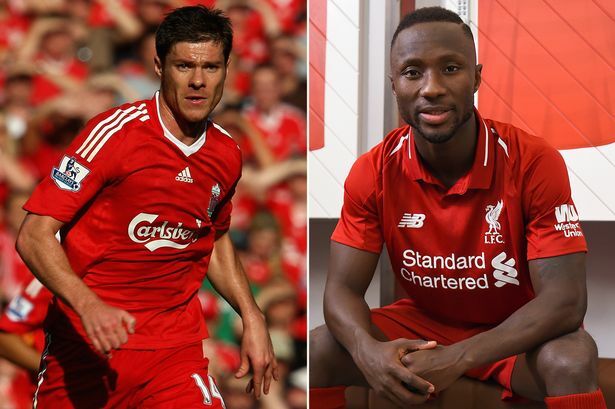 Naby Keita has waxed lyrical about Xabi Alonso, our former midfielder who ended his career as a champion with Bayern Munich in Germany. Our new Guinean no.8, who’s started life at Liverpool with four wins from four, came up against Alonso during the 2016/17 season. “When I used to play against Bayern, Xabi Alonso always used to give me a really hard time,” Keita told the official website. We can vouch for Alonso doing exactly that during his five-year stint at Liverpool between 2004 and 2009, of course. The legendary Spaniard was integral to our Champions League win in 2005, going on to win the competition with Real Madrid, along with multiple other trophies as well. We hope Keita ends his stint at Liverpool covered in silverware, too, of course. He dons the no.8, formerly owned by Alonso’s midfield partner Steven Gerrard, and has the ability to do it justice. Jurgen Klopp decided not to select him last time out against Leicester, and our midfield looked much weaker as a result. He’ll be back in the team v Spurs as a result.